MacBook leather case back made by genuine vegetable Italian leather. 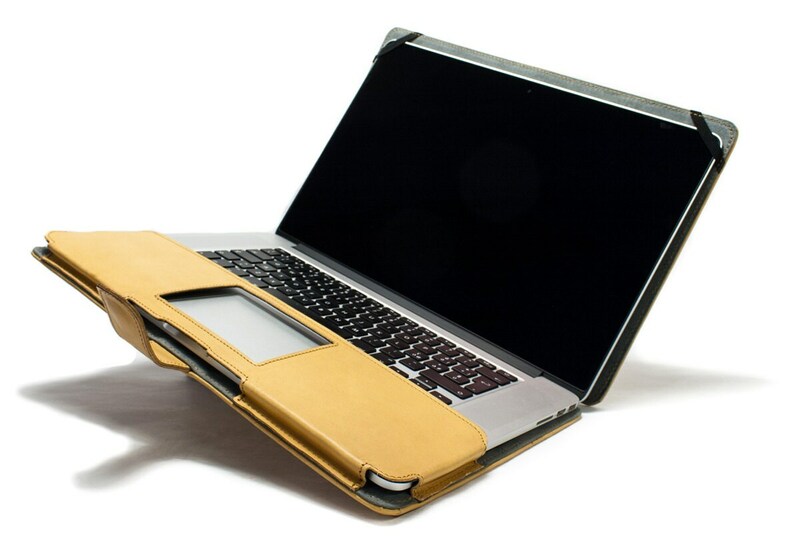 MacBook Leather Case handmade in Tuscany. 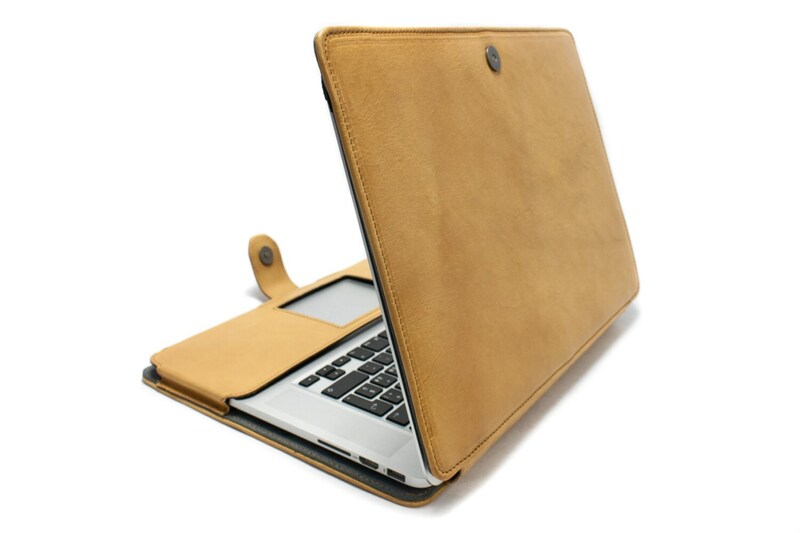 For MacBook made by vegetable tanned Washed aged leather. 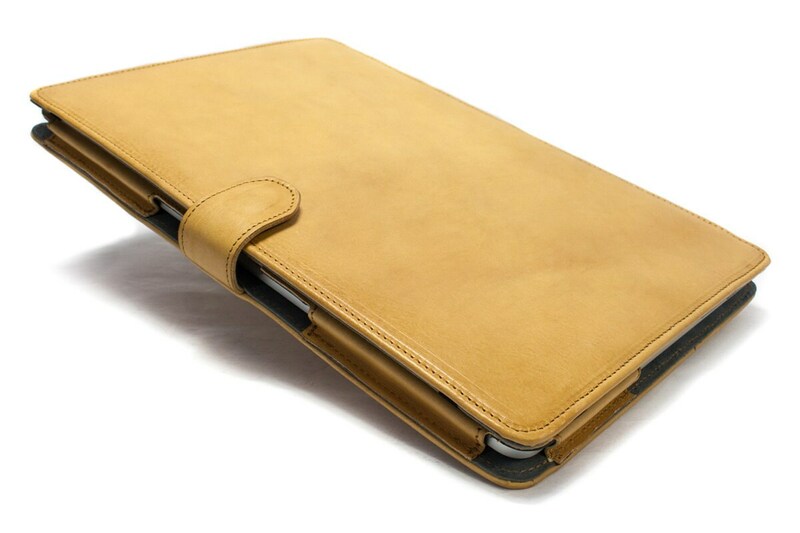 This MacBook leather case is entirely constructed by hand in Italy for Your BELOVED APPLE DEVICE. I've been trying to eliminate plastic from my life due to it's off-gasing toxic chemicals. When my original case for my laptop cracked beyond all function in less than a year, I anguished on giving up the beautiful graphics -- I could find another identical replacement but then I'd still have toxic plastic...and a case I knew would simply begin to chip and crack. Searching for a non-toxic, leather solution, I found only a couple and the others were a boring black or brown case. Then I found Nicola Meyer who made me a healthy case "tanned with vegetable essences extracted from plants and barks according to the old Tuscan tanning secrets. I also use many natural materials all made in Italy such as Italian cotton lining..."-- the prugna (or plum) color is gorgeous and the embossed logo is the ...Apple... on top! Thanks!